Testing Madsen Bucket Bike without mid-drive motor. 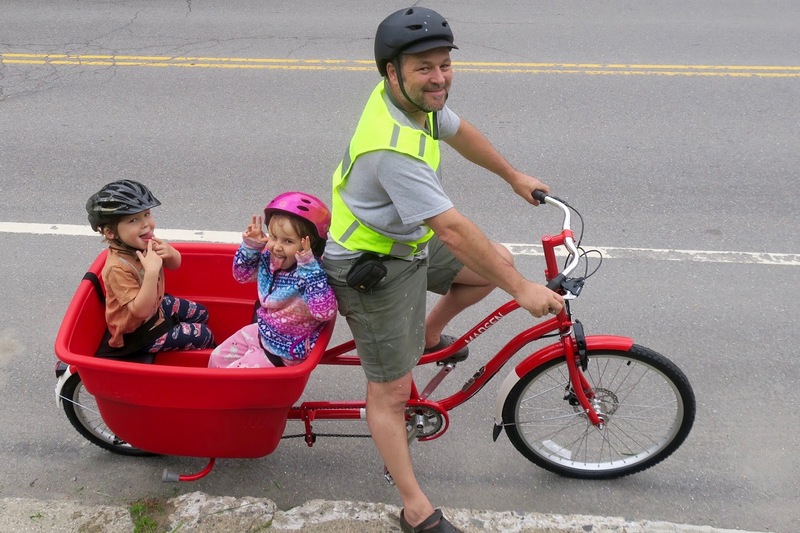 Went great on relatively flat streets even with two kids but we live in a hilly town in Vermont. 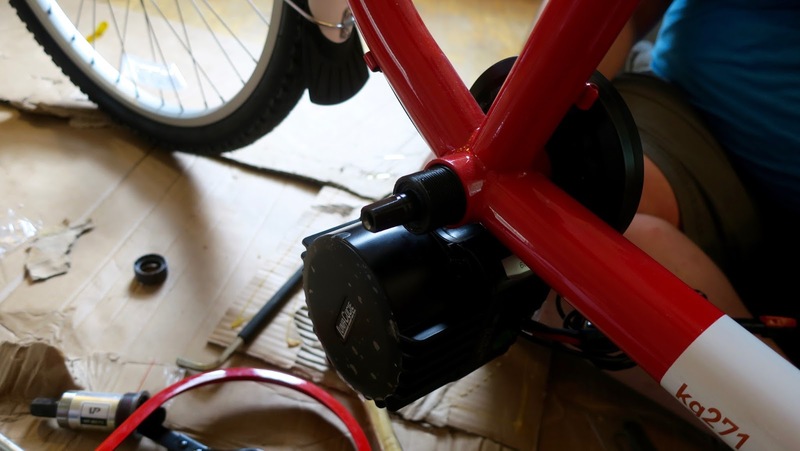 I'll be documenting the installation of a mid-drive electric assist motor on my wife's new Madsen Bucket bike here. Bafang BBSHD 1000 watt Mid Drive motor. 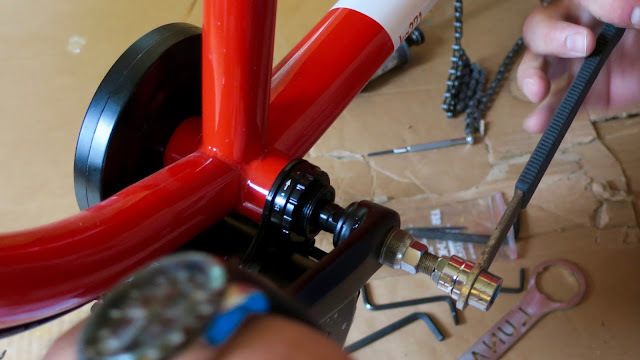 Bottom Bracket Size: 68-73mm (Standard). Battery: Side Shark 48v GA 10ah. Chain Ring: Stock 46T Steel. Bafang BBSxx Universal Thumb Throttle. Bafang Handles with Built-in Ebrake cut off. Custom battery bracket by Karl Kemnizter, of VBike in Brattleboro VT. The Box! Assembly is very easy, basically putting on the front wheel and a fender. Here's the manual, a list of different builds with motors like this. Working on the rest now. I’m an older achy father born in 1966, with kids born in 2012 and 2015. You do the math. 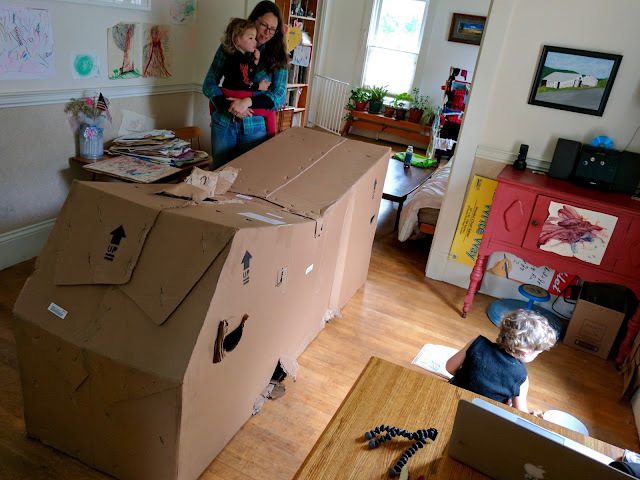 I live with my wife and kids in a small town in Vermont USA. Please leave a comment and pass this blog on to any other achy dads! Copyright 2017 Caleb Clark. Simple theme. Powered by Blogger.